What's up everyone. Hoping everyone is enjoying their weekend. 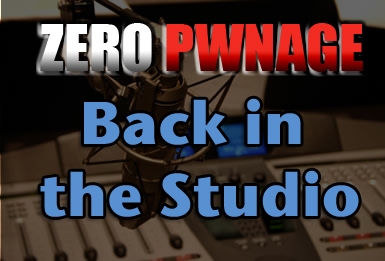 Just wanted to let everyone know that today we head back into Studio 105 to record our second episode of the Zero Pwnage Podcast today. We should have it up later in the week so stay tuned!